Lennon hopes for another record | NUFC Blog. Celtic reach an agreement to take Newcastle United keeper Fraser Forster and Toon wannabe Maiga speaks up about his omission from Sochaux’s European squad. Celtic claim to have reached an agreement to take Fraser Forster off our hands. Apparently it’s along the lines of a season-long loan with some sort of option to buy the player after that. “A deal has been agreed. There are a few little snags to overcome but we hope to have him registered in time for tomorrow night. “If that is the eventuality of things, we would be absolutely delighted. He has been the main target since the end of last season. 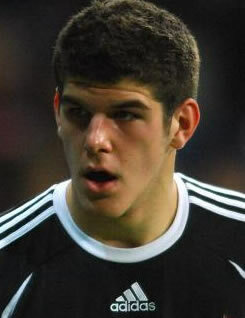 Forster was loaned to Celtic last season and broke the club’s clean sheets record while he was there and was also quite good in goal. Forster had previously expressed a desire to return to Celtic this season although Alan Pardew was keen to see how he measured up against Krul and Harper between the sticks during pre-season before letting him go. Presumably the club feels that Harper and Krul – and possibly Soderberg – are better prospects for us in the long run and provide ample enough cover in goal between them. We do seem to have produced some good keepers at Newcastle in recent years and it looks like Tim Krul might be edging Steve Harper for the number one spot at the moment. “I am sorry for the fans, my team-mates and the staff, but I am not in the best conditions to play. “It is better for the team to get focused well that I don’t play. “About Newcastle, it is very clear: they want me and I want to go there. Sochaux is indeed the worry as owner Alexandre Lacombe has insisted he will not sell Maiga to Newcastle. Who knows how this one will turn out. According to no-nothing, no it all Lee Ryder, tonight’s Chronicle will have details on cover for the goalkeeping position…The club are looking to cover the ‘keeper position…WTF??? I’m so very, very confused. Ashley must have found someone for free Jimbob. what’s his problem?we’re a bigger club than sochaux any day.stinking frenchman needs to stop being stubborn. Why have we bought another ‘keeper? We’ve just loaned one out and now we want a ‘keeper from Charlton in before the game at the weekend. Micky, there’ll be some financial point at a guess. Oh come on FFS, Rob Elliot. It’s obvious, anyone who voiced there opinion on Pardew’s appointment is gone, or not wanted. Now Harper will be off. Only served 18 years for the club. Loyalty Doesn’t matter though to Ashley and Vampire does it.